Hong Kong jockey Y.T. Cheng recently was suspended three months for failing to give his mount a full opportunity to win or get its best possible placing in a race. The race in question occurred on Sept. 18, when Master Gold finished fourth, beaten a neck for third in the Sha Tsui Handicap, when Cheng stood up just before the finish line after appearing to weave through traffic in the final furlong and while gaining ground on the leaders (and a loose horse, who had thrown his jockey at the start). According to Hong Kong Jockey Club stewards it was the fourth time Cheng had been guilty of this infraction (and the third time since May 2012) in a very successful career that has seen him become the No. 2 local jockey in total wins. 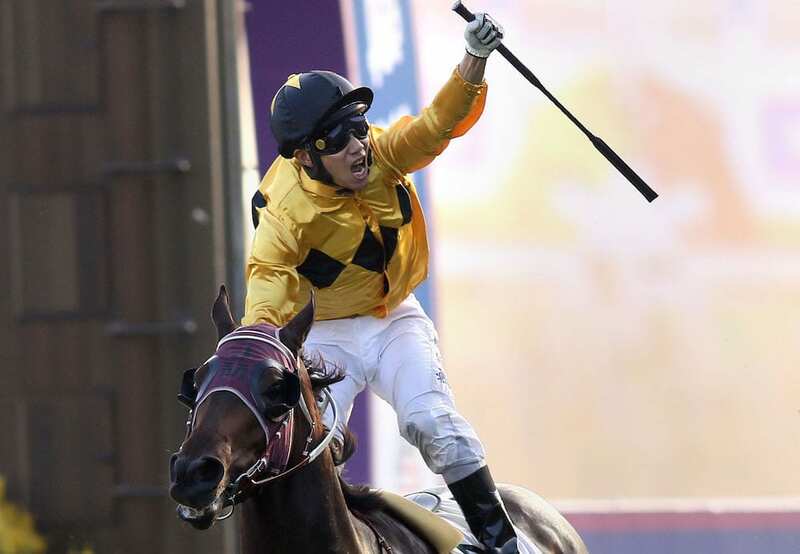 When his suspension ends, HKJC officials said they will consider whether Cheng is fit to maintain a jockey's license. HKJC stewards are also looking into text messages reportedly sent by Cheng about his mount to people who were not the owner or trainer of Master Gold. That would be a violation of Hong Kong's Rules of Racing. HKJC stewards recognize the enormous mount of money wagered on races from Sha Tin and Happy Valley is contingent on the public having confidence in the integrity of the sport, and that, in large part, means jockeys giving their bests efforts all the way to the finish. Around the same time Y.T. Cheng was being suspended, stewards at the Los Alamitos Thoroughbred meet noted that jockey Kent Desormeaux was “up in the saddle” in a photo finish of the second race on Sept. 25. The Hall of Fame jockey was nosed out for third place on a filly named Peppermint Kitty, who battled on the lead throughout but tired in deep stretch for trainer Peter Miller and owner Altamira Racing Stable. Peppermint Kitty was the 1-2 favorite in the race, but someone clearly had made a sizable bet on the filly to show in the six-horse field: when she failed to hit the board the show prices told the story: the winner paid $8, $4.20, $9.20 across the board; the runner-up $9.80, $33; the third-place finisher $19.60. Five days later, Desormeaux was fined $500 for violating CHRB rule 1692 (requirements for horse, trainer and jockey – stood up before finish line). There was no reference to whether the Hall of Fame jockey had previously been penalized for similar infractions. The fine meted out to Desormeaux seems inconsistent with stewards rulings from the same racetrack in July 2015, when jockey Brayan Pena received a seven-day suspension and Eswan Flores got three days – both for misjudging the finish line. I'm not sure what motivates California Horse Racing Board stewards in determining the severity of penalties for riding infractions. But I hope they recognize the same thing Hong Kong stewards do: the betting public needs to have confidence in the integrity of the game. This entry was posted in Ray's Paddock, Videos and tagged California Horse Racing Board, California Horse Racing Board stewards, CHRB, hkjc, hong kong jockey club, kent desormeaux, photo finishes, Y.T. Cheng by Ray Paulick. Bookmark the permalink.